The Timberland PRO Men's TiTAN 26078 Brown Waterproof Alloy Toe Work Boots offer you a protective work boot design that encases your ankle and upper foot area with 6-Inch leather uppers, plus adds waterproof technology throughout this fine pair of Timberland PRO Bo ... (see full details) (see specifications) #TMBTB026078242. The Timberland PRO Men's TiTAN 26078 Brown Waterproof Alloy Toe Work Boots offer you a protective work boot design that encases your ankle and upper foot area with 6-Inch leather uppers, plus adds waterproof technology throughout this fine pair of Timberland PRO Boots. Made with premium leather and waterproof breathable membrane, you'll appreciate Timberland's Outlast Adaptive Comfort footbeds. These special footbeds help to regulate temperature, making these an excellent pair of safety toe boots for a wide variety of indoor and outdoor working conditions. These EH boots also feature moisture-channeling spacer mesh that has been treated with an antimicrobial material used to control odor and keep your feet comfortable. These slip-resistant boots also deliver outstanding cushioning because the polyurethane midsoles have a high-rebound heel insert that give you durable cushioning and energy return. Plus there's a nylon diffusion shank to add torsional rigidity and flexible support to your feet. This means that your arch support will not compromise your mobility. To reduce weight while maximizing protection, a lightweight titanium alloy toecap shields your toes from injury. Titanium alloy is almost half a light as steel yet offers excellent protection! These brown boots also provide electrical hazard protection against open circuits. The Timberland PRO rubber outsoles are also slip-, oil-, and abrasion-resistant, giving you unbeatable traction in these alloy toe boots. As part of Timberlands PowerFit system, the Timberland TiTAN design allows proper foot movement and provides critical support, thus delivering maximum comfort backed by a 30-Day Comfort Guarantee. These aren't features you can find in just any boot, but you've found it here. 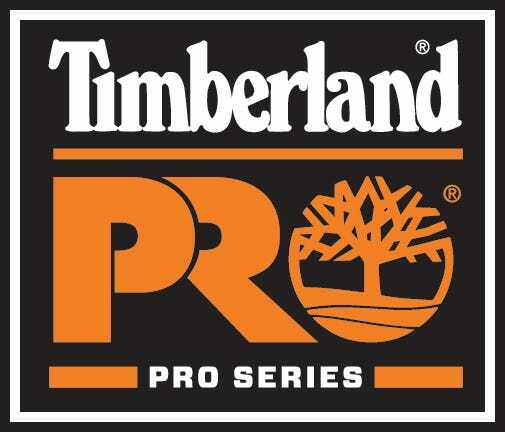 Buy a pair of Timberland PRO TiTAN 26078 Brown Waterproof Alloy Toe Men's Boots today. I loved these boots except for the soles. They are very comfortable and very lightweight. I wish the soles would not have worn through so quickly but I bought them again which has to say something!!! Thanks Working Persson's. You always come through. I ordered these Timberland pro boots and love them. The durable cushioning and energy return in these boots is what I think makes them so great. My feet have never felt better. I have had mine for 9 months and the soles have fallen apart. The two differant materials do not stay welded together, so now my $140 (what they were when I got them) are now leaking and the soles have cracked all the way thru. However, they are super lightweight and relatively comfortable. I will get another pair of Timberlands, but not any that has this type of sole. I am going to get the SawHorse or the Alpine Hiker. I would suggest you do the same. You just can't find anything else with Titanium toes that is waterproof. Timberland PRO Boots: Men's TiTAN 26078 Brown Alloy Toe Work Boots is being added to your cart.